The ever-popular NYP Groove! 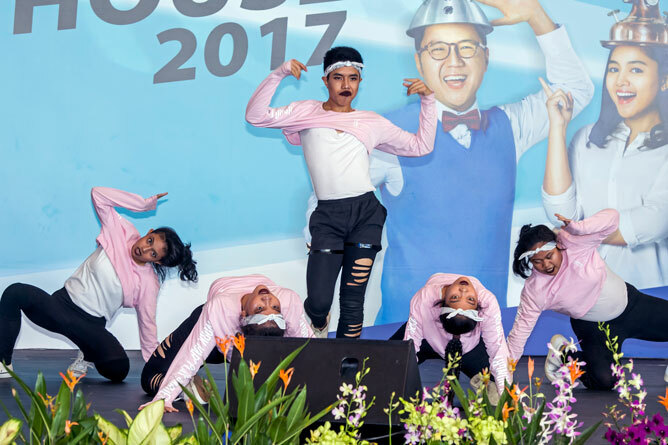 2017 saw 11 super talented dance crews slaying the stage with their epic moves. 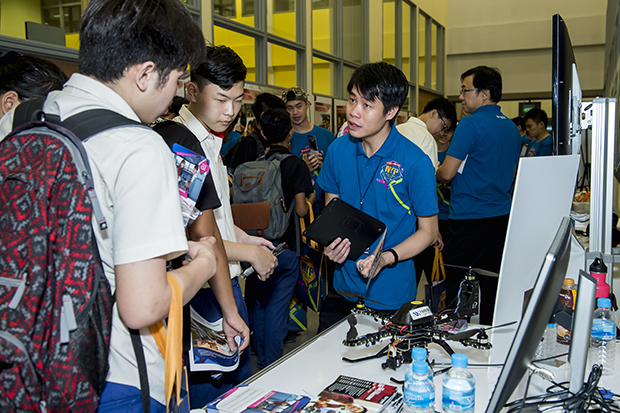 Held at Nanyang Polytechnic (NYP) during their annual NYP Open House on 7 January, it was a nail-biting battle to the finish. 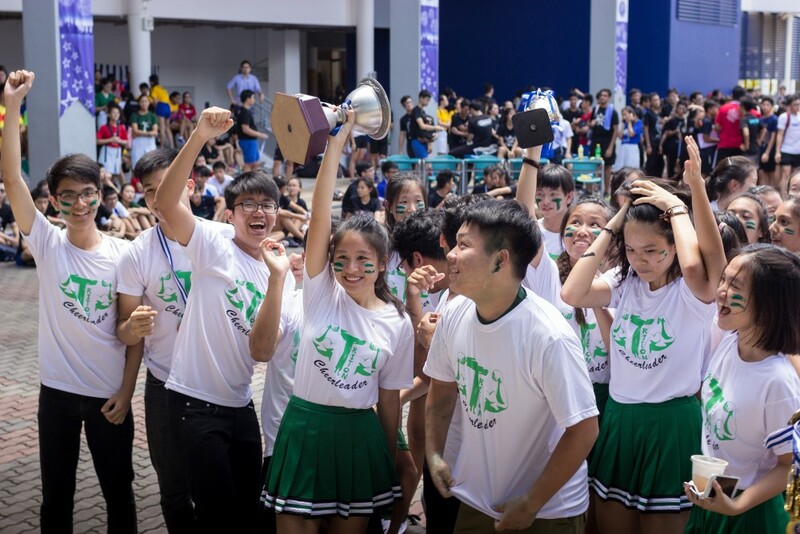 With congratulations in order for the winners and contestants of the Secondary School and ITE categories alike, we couldn’t help but notice a few key traits that boosted these teams to success. Here are some pointers we picked up for the NYP Groove! 2018 hopefuls! Most of the teams were decked out in their street-wear finest but a couple of groups really stood out with their elaborate gear. From #QassaFam’s stylishly bold prints to Academy of Nutz’s Suicide Squad-inspired getup to Urbanary’s military-meets-normcore look, these groups truly dressed to impress. Fierce dance routines aside, the one thing that truly sells the performance is a kickass attitude. 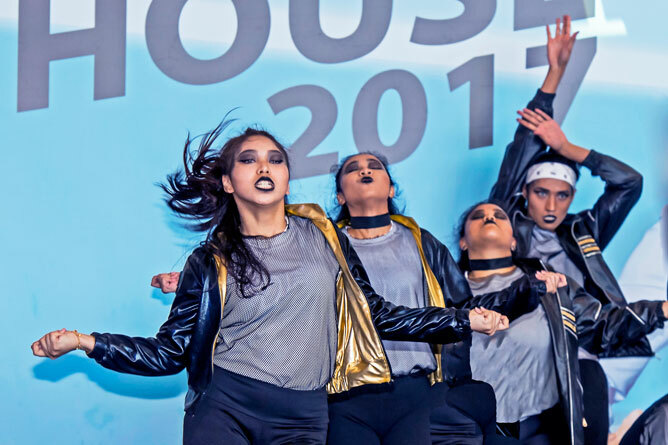 Channel those Beyoncé vibes and slay away – if you can convince the audience, you’ll definitely impress the judges. We all know that song choice is a vital factor, but another important aspect is how you weave in extra details into your choreography. Whether it’s a cheeky gesture to the audience, or a double-step combo within a beat or even a cleverly-timed flip, it’s all about the minute details and sharp timing that’ll help your performance stand out. It’s normal to feel anxious when competing but don’t let your nerves get the best of you. It’s always a joy seeing performers who freely embody their love for dance onstage; not only will the judges be able to feel your passion, you’ll also take away more out of the experience, no matter the outcome. Bonus: Check out NYP Groove! 2016 champions Slay Empire totally owning the stage in their guest performance! Watch and learn kiddos, watch and learn. 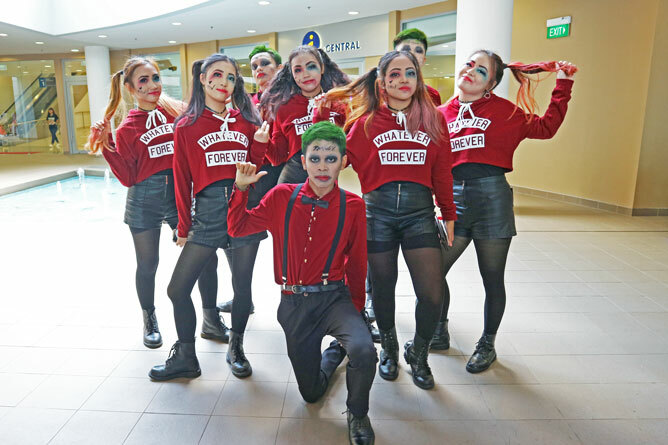 Congratulations to all NYP Groove! 2017 Finalists and Winners! NYP Groove! 2017 was an absolute blast. Stay tuned for next year’s edition! Stepping out of your comfort zone to meet new people and forming friendships can be daunting. Here are some tips to ease you in! It’s inevitable for most people to be shy on their first day, so why not step up and make the first move? Initiate a conversation by introducing yourself – throw in snippets of personal info, and break the ice by asking them about themselves. Non-invasive questions like their musical interests, favourite shows, former CCA or even who they follow on Instagram/Snapchat should do the trick! Trust us, you’ll stand out (in a good way) and your future friends will definitely appreciate your gesture. Sure, true confidence comes from within, but looking your best undeniably helps you feel the same way too. Strut across campus in an ensemble that reflects your personality: ditch the denim shorts for a stylish maxi skirt, or swap your go-to T-shirt for a neat button-up. There’s no harm in donning a dressier outfit especially on your first day – but ensure that you’re appropriately dressed and comfortable with what you’re wearing. Between familiarising yourself with the campus, memorising class schedules, learning your new classmates’ names and updating your socials, first days are usually filled with overwhelming details. But don’t let it deter you from making meaningful connections. Put your phone away, engage in distraction-free conversations and start listening. Chances are, people will also start paying more attention to what you have to say if you set the example. A little sincerity never hurt anybody! This may sound kinda superficial, but giving a compliment could go a long way. That’s not to say you should shower people with false praises to butter ’em up. Find something you sincerely like about that person, i.e. a quirky accessory, their immaculately styled outfit, cool hair… Plus not only would that off-handed compliment be an instant mood lifter, it also serves as a good conversation starter. So go ahead and make someone’s day! Social situations may be more daunting for some, so be alert. Every time you see someone standing at the side trying to join in your group conversation, subtly widen the circle to include them. Find someone alone in the corner? Engage them in a conversation. Not only will you help lessen their awkwardness, these gestures speak volumes about your good character. You’ll gain more friends by being a friend! As wiser people have reiterated, “If you’ve got nothing good to say, don’t say anything”. While speaking your mind is usually encouraged, bear in mind that you’re in a new environment with people who are unfamiliar with your thoughts and mannerisms just yet. Instead of indulging in inane chatter, contribute to the conversation constructively, by way of witty remarks or relevant opinions. Be careful of your tonality: try to avoid using tones that may come across as being overly opinionated and aggressive. Also, don’t be overly judgmental against people who rub you the wrong way – give ’em a chance! One way to calm down, appear more approachable (and attractive), instantly feel good, and build better relationships: smile! It sounds way too easy, but smiling has been scientifically proven to give all those benefits and more. If you’re too nerve-wrecked to conjure up a smile, visualising your favourite happy moments with friends and family should do the trick! If you’re getting good friendship vibes from a potential pal, ask for his/her number and make plans to meet up again later – invite them out for lunch, go exploring around the new campus grounds, or suggest a cool after-school hangout activity. Don’t worry about coming off as creepy; everybody appreciates having plans especially when you’re new in the area. Who knows, this could be the beginning of a beautiful friendship! Have any suggestions of your own to add onto our list? Comment below and share your tips! 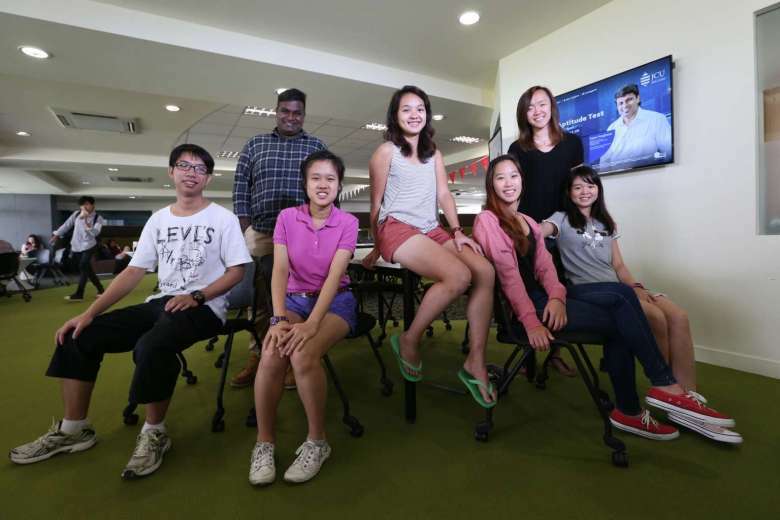 What Are The Study Options After Your 'O' Levels? You’ve just received your O-Level results, now… what’s next? With so many study options available for the next lap of your educational journey, we’ve mapped out an overview to help get you started. With the ability to study a mix of different subjects (e.g. Biology, Mathematics, Econs etc.) along with specialised electives (e.g. Music, Arts, Language etc. ), your two (JC) or three (CI) year course of study will see you ending with a GCE ‘A’ Level qualification, which will then determine your entry into a local university of your choice. Offering a wide selection of skill-oriented courses that fit a range of interests, a polytechnic education prepares students for the real world through networking opportunities with industry professionals as well as industrial attachments. Many polys also offer internships opportunities abroad – if you’re lucky enough, you might just find yourself doing your internships overseas! The practical skills ITE students gain through their course of study act are highly sought after by employers. Offering students on-the-job exposure, you can choose between full-time courses or part-time traineeship programmes. Focusing on niche programmes that allow you to explore your topic of interest in depth, specialised educations provide students with the relevant skills and expertise in that field of study, giving you an added advantage to excel in the industry. If you want to obtain an international certificate at the end of your studies without leaving the comforts of Singapore, then private institutions are for you. With some courses taking as short as 18 months (full time) to complete, choosing this study path will allow you to graduate faster and enter the workforce sooner than all your peers. Part-time courses are also available. A once-in-a-lifetime opportunity that will see you becoming fully independent and self-sufficient, the networking sessions you will be exposed to studying abroad may also open doors to employment opportunities, should you decide to stay on after graduation. Do take note of the high cost of living if you’re going for this option though! Choosing which educational pathway to embark on is one of the most crucial decisions you will have to make during your teenage years. We hope this overview helped you get closer to making an informed choice! 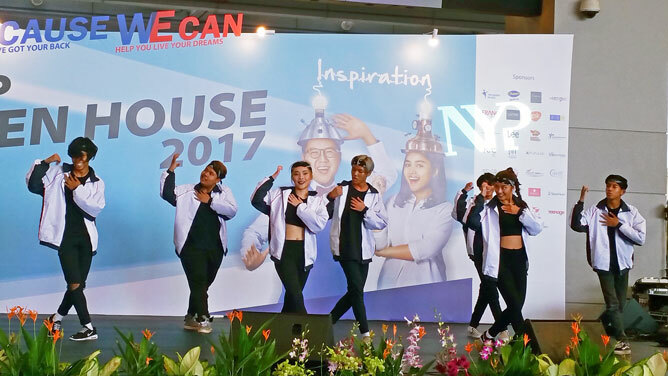 If you’re headed down to Nanyang Polytechnic’s (NYP) Open House on 5 to 7 January, boy are you in for a treat. 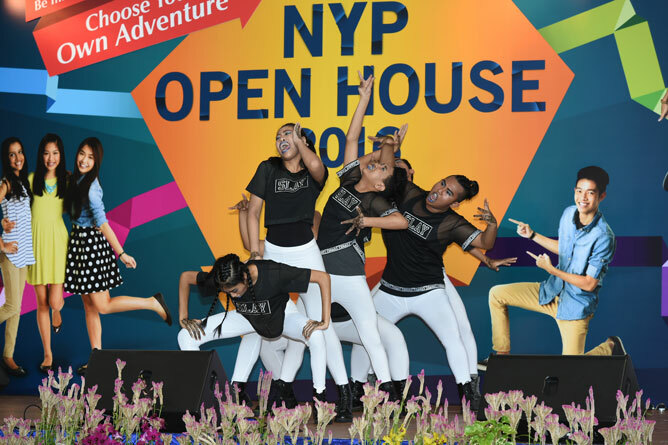 Not only has NYP planned a plethora of fun activities, showcases and workshops, they even have a Night Open House on 6 January for you to experience NYP at night! Here are 11 must-catch highlights over the entire NYP OH. Setting your educational pathway is a decision that should also involve your parents’ input. Help them get updated with the Choices After ‘O’s Parents’ Seminar, where they’ll gain more insights on post-secondary and post-ITE options, as well as learn tips to help you through the process and beyond so you won’t have to handle it alone. This talk isn’t just for parents, so pull up a chair and learn useful tips on how to join your preferred course, entry requirements for Joint Admissions Exercise, Polytechnic Foundation Programme, and more. The Choices After ‘O’s Parents’ Seminar will be held on 6 January (Friday), 7pm at the NYP Auditorium. Sign up here for the seminar! Undecided on which course to pursue or the career options available for your diploma of choice? Head to NYP Auditorium Lobby (Blk A, Central, Level 1) to find out all about NYP’s 47 diploma courses, including their new Diploma in Sustainable Architectural Design. There, you’ll be able to speak to experienced NYP lecturers and students across all seven schools, and learn more about NYP – its vibrant campus life, exciting CCAs, yummy food, learning experiences, and more. Scoring a scholarship boosts your résumé, provides great networking opportunities, and also eases financial load – learn about some of the rewarding scholarships that NYP has to offer through the National Precision Engineering Scholarship (NPES) Seminar (7 January, 1pm onwards, two sessions available) and Scholarships @ School of IT Seminar (7 Jan, 11am). 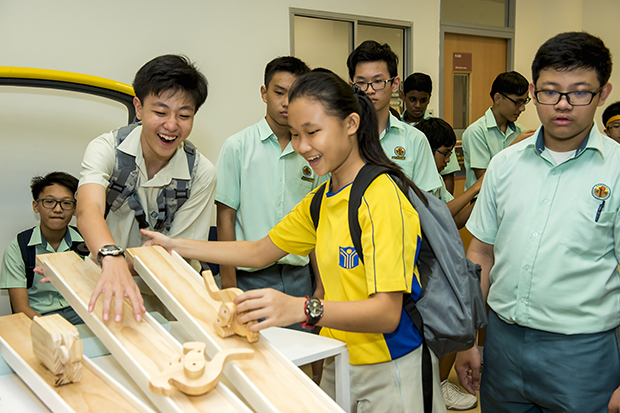 The former is offered to eligible students who enrol into NYP’s Diploma in Digital & Precision Engineering, while the latter offers various bond-free scholarships and opportunities available at School of IT. For registration or enquiries, please contact Mr Lawrence Tham at [email protected] or 6550 1711. Visit the Admissions Information Booth at the Course & Career Exhibition at Auditorium Lobby, Blk A, Level 1, for more information on these prestigious, bond-free scholarships awarded by NYP and their distinguished industry partners. 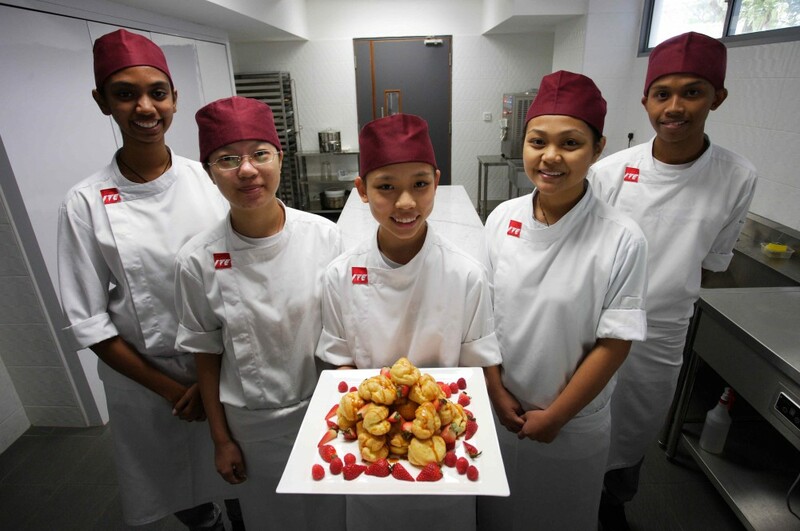 Check out NYP’s state-of-the-art facilities with ease by signing up for a guided school tour! 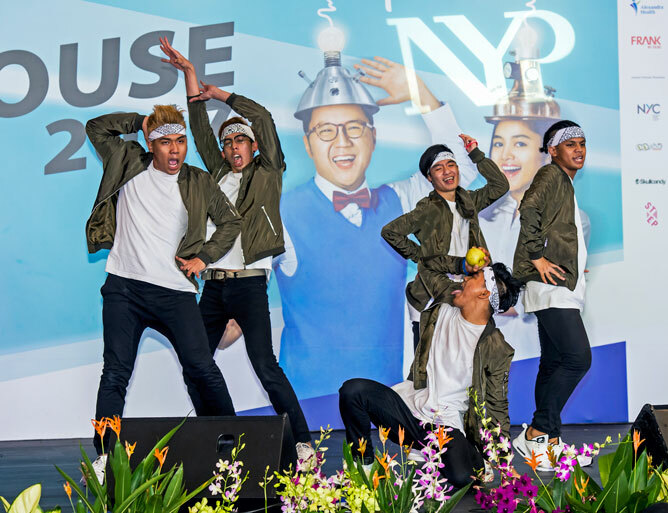 Led by NYP student guides, view innovative projects created by students and soak up NYP’s learning environment – this will be the best way to ensure you get the full NYP experience without getting lost amidst the hustle and bustle. Sign up for a guided school tour at the Tour Registration Counter, Atrium, Blk A, Central, Level 1. If you have totally no inkling of what you’d like to pursue, approach NYP’s Education & Career Guidance (ECG) Centre where their ECG Counsellor will shed some light on the possible career paths that are suitable for your personality, interests and strengths via career profiling. Even if you do have an idea of what you’d like to do in the future, it wouldn’t hurt to get some professional advice to help you advance further. Career Interest Profiling (CIP) sessions run at 10.30am, 12.00pm, 2.30pm, 4.00pm daily. 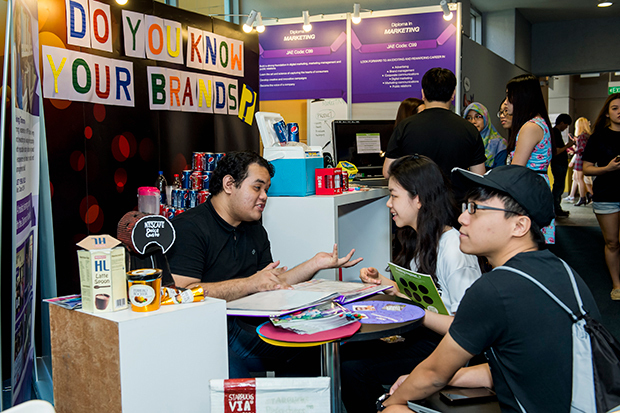 Self-designed T-shirts, costumes, plush toys, robots, bespoke furniture, gadgets, skateboards and more – check out how NYP students create new innovations and get the chance to make your own swag at NYP’s MakerSpace (Blk P, Level 2). We foresee this spot to be pretty popular, so get there earlier to snag yourself some personalised gear. Watch the finalists of NYP Jam! sing their hearts out onstage in the final showdown – be it dynamic soloists or charismatic bands, the competition will be one to remember. Plus, you’ll get to see Mediacorp 987 DJ, Sonia Chew up close as she hosts this exciting event. The NYP Jam! finals will be happening at the NYP Night Open House on 6 January (Friday), from 7pm to 9pm at Atrium Stage, Blk A, Central, Level 1. 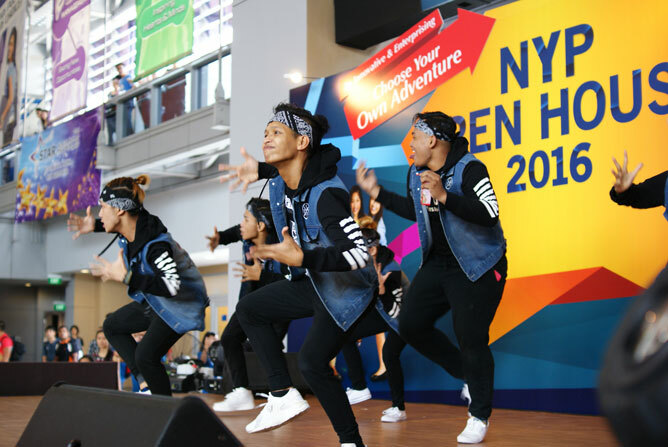 There’s always something extra exciting about street dance competitions, and the NYP Groove! Finals will not disappoint. 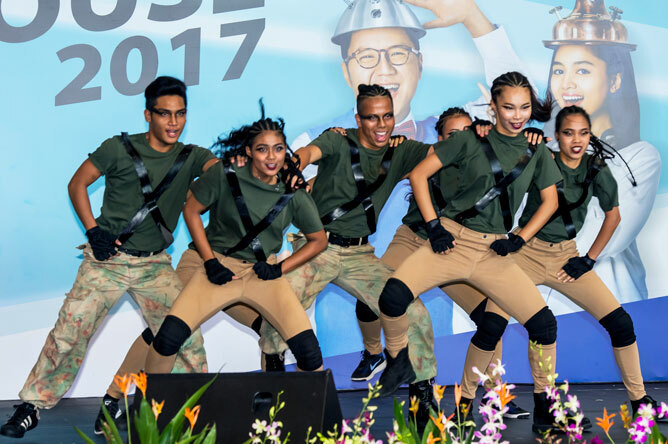 Gathering the best dance crews across the secondary schools and ITEs, this NYP signature event promises an epic finale as each team battles it out for the top spot. The NYP Groove! Finals will be happening on 7 January (Saturday), from 1pm to 2:30pm at Atrium Stage, Blk A, Central, Level 1. 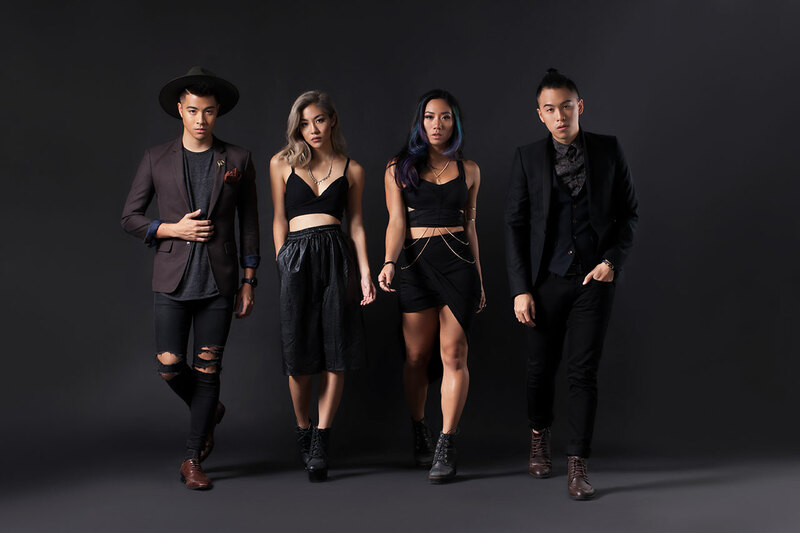 Fans of local bands The Sam Willows and The Summer State rejoice! 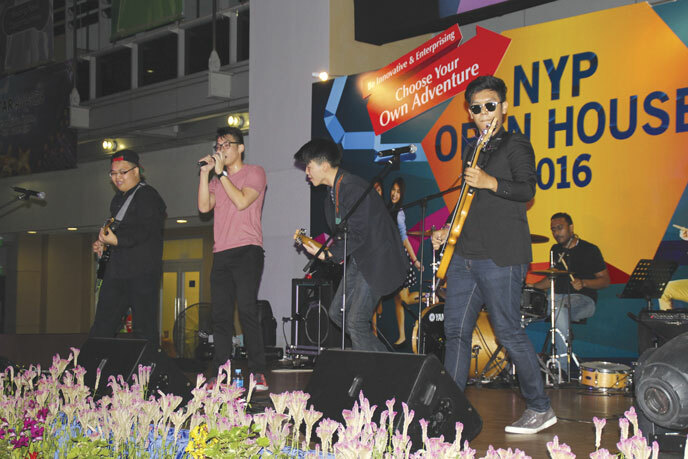 These popular acts will be performing at the NYP Night Open House from 6pm to 7pm as part of NYPTV on Air ‘Live’, so head over to the Atrium Stage (Blk A, Central, Level 1) to catch ’em live. There will be plenty of food to feast on at NYP campus at super affordable prices, but there will be free nosh too! Swensen’s ice cream, popcorn, and candy floss will be available during the Night Open House, while there’ll be a a Grab-All You-Can candy booth stationed at the Atrium all throughout the Open House! Simply flash your secondary school ID and you’ll be able to grab as many of your favourite snacks as you can manage, completely for free. Where do we sign up? 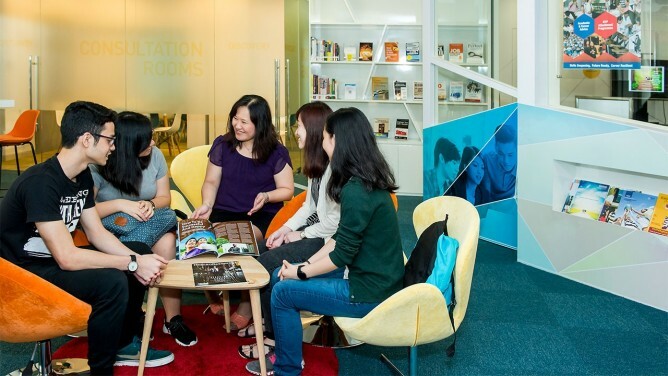 Take advantage of NYP’s recreational facilities: their student recreation centre is open to public during the Open House and it has a cafe, pool table, air hockey tables, jamming and karaoke rooms, and even a gym. Just snag a spot and game away! We hope you’ll have an awesome time at the NYP OH 2017! Click here for a digital map of the NYP campus and here for more info on NYP OH. It’s official, The Tee Guys has made school merch actually cool. Here’s how they did it. 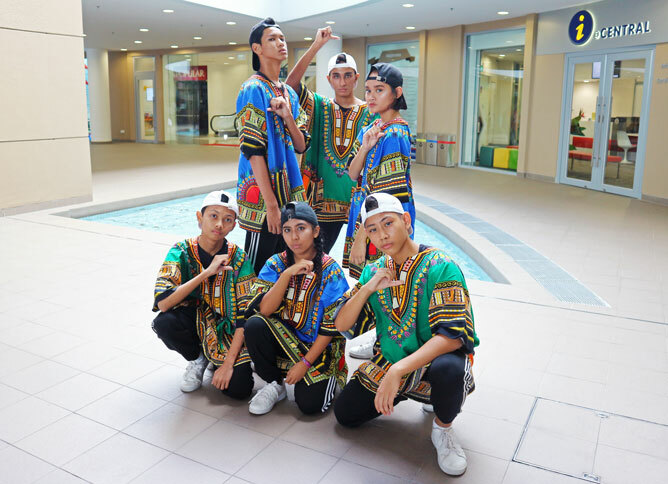 When the word got out that Nanyang Polytechnic (NYP) has launched an exclusive streetwear available exclusively in D’Studio, it was gone before many could even check them out! Yup, this latest collection of NYP tees was designed by NYP’s very own students Simon Ng Wei Hao (Diploma in Business Management) and Bryan Lian Jenn Yi (Diploma in Engineering with Business). 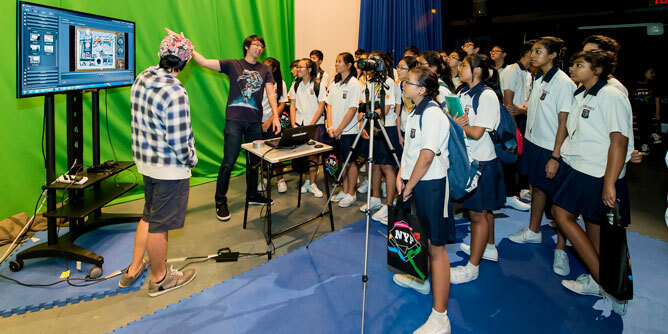 Simon, a final-year student, was attached to D’Studio during his Teaching Enterprise Project (TEP) was first intrigued by how well the NYP tees were selling. He toyed with the idea of creating NYP’s first ever streetwear collection with his buddy Bryan Lian Jenn Yi, also a final-year student but from the Diploma in Engineering with Business. Both of them shared a common interest in fashion trends and thought they could design something new. With encouragement from D’Studio’s TEP lecturers, they researched on the creative elements of streetwear. Eventually, they came up with a Japanese-inspired design that cleverly used Japanese words and an assortment of shapes. The tees were in two basic colours – black and white –commonly used in streetwear. Simon was also guided by his TEP’s lecturers on how to source and negotiate with suppliers to print the tees. Imagine their astonishment and ecstasy when they found out that the first batch of 300 pieces were snapped up within a few days! Not to mention, they had just replenished their inventory with a new batch of T-shirts and already some sizes were out of stock. Inspired with their success, Simon and Bryan decided to set up their own company and started work on new and exciting designs. Named The Tee Guys, their new collection was showcased during the NYP Entrepreneurial Fair in December, and it was a great success. Simon and Bryan have turned their idea into reality. With NYP nurturing them, their first step has taken off beautifully. Because We Can!